Any tropical biologist who has worked in a remote field site or been unable to work for days because of nonstop rain knows the importance of reading material. And they also know that you eventually run out of things to read and get tired of reading the articles from Biotropica you brought as thesis reading or playing card games, at which point you start rereading the same old newspapers and magazines hoping to find something — anything — new you missed the first few times you flipped through it. While doing field work for my PhD I once ran out of books early into a stay at the BDFFP’s Camp 41; by the time the two weeks were up I had read the 4 issues of Caras someone had left behind so many times there wasn’t anything I didn’t know about celebrity break-ups or the vacations of Brazilian socialites. This shouldn’t happen to anyone, especially in light of how many good books there are to get through. And more importantly, I think books and sharing our reflections on them are an excellent way for us — but especially students — to be distracted from the tendency to hyper-focus on our research projects (and increasingly global politics). So I’ve decided to start a book club. Periodically I’ll be sending books to students in different parts of the world with one condition – that when they finish to pass it along to another student who promises to do the same. 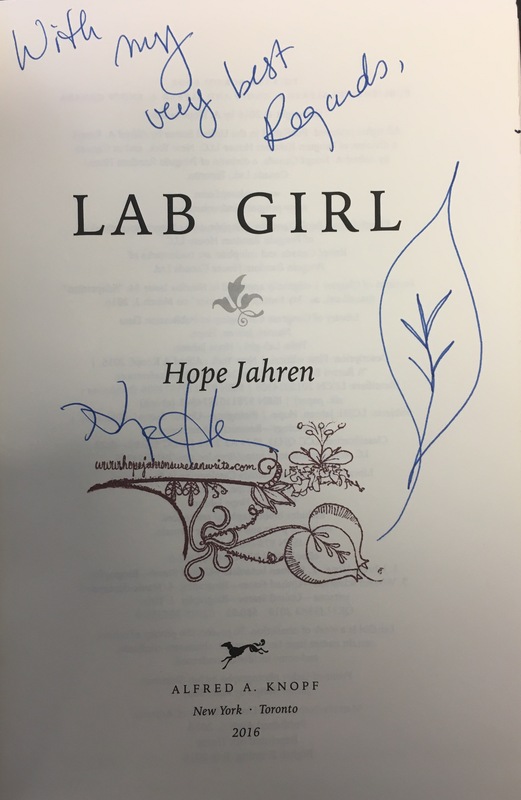 To kick off the Global Student Book Club we are truly fortunate to have been given a copy of the acclaimed national bestseller “Lab Girl“ autographed by none other than Hope Jahren herself! This copy is now on its way to @moleculoide in Brazil, who after reading will sign the book, tweet us a pic of the inside cover, and hand it off to the next student. That person will read it, sign it, tweet us a pic, and hand it off to someone else who will then read it, sign it, and…you get the idea. We’ll post the all the books’ journeys here – let’s see how many countries we can make them visit! 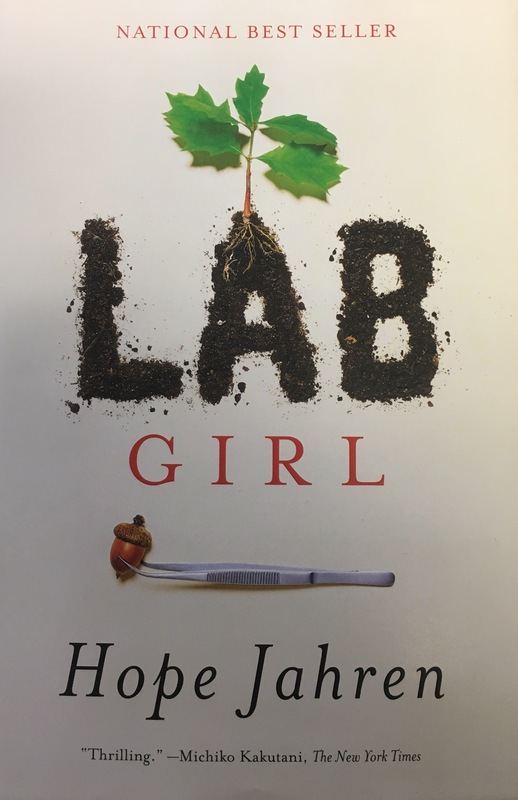 Thanks very much to Hope for generously sending us a copy of the book for this experiment (you should definitely follow Hope’s blog and twitter feed). And if you’re an author interested in doing the same with your book, just email me.